Picking up right where Garth Ennis' epic 6-issue run left off! Jen's bloody war against the Blutes is over and it's time for the cleanup phase of the operation. All's well that ends well? In a word... no. Jen's enemies get a little too close, Jack gets a little too crazy, and it's all fun and games until someone loses an eye! How far is Jen really prepared to go to keep her revenge from wrecking her life, and what happens when the people she loves get in the way? 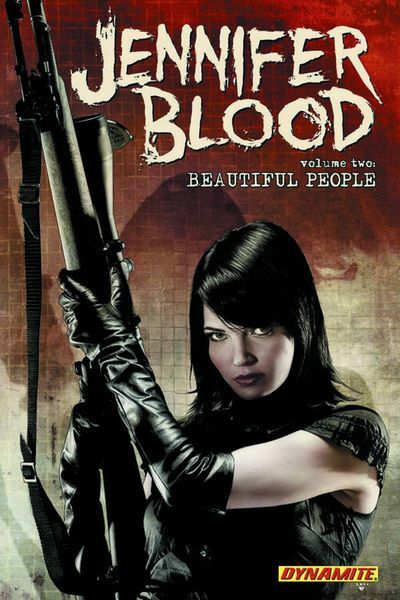 Collecting issues #7-12 of the ongoing series, Jennifer Blood, along with a cover gallery featuring artwork by Tim Bradstreet and Ale Garza.